“Returning [to England from Wales] on July 30, through the Pass of Nant Frrancon, they [Cotman and ] stopped again at Llyn Ogwen to make further sketches. 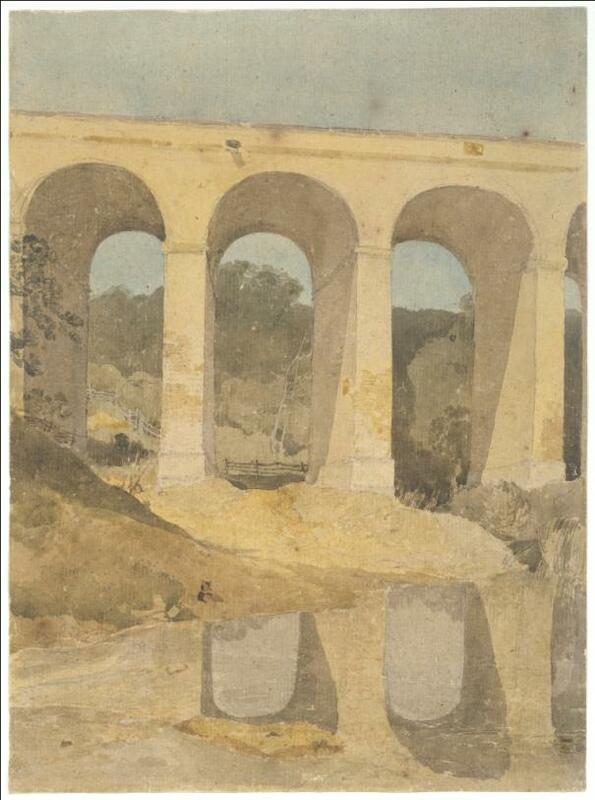 Thenceforward there is no definite evidence of their route, but it appears that they returned to England by way of Llangollen, where Cotman saw with delight the Chirk Aqueduct, the recently completed work of Telford, which crossed the marshy valley in a succession of arches. From his sketches of this work he made, some two years afterwards, two distinguished drawings. Sydney D. Kitson, The Life of John Sell Cotman. London: Faber and Faber, n.d., p. 44.